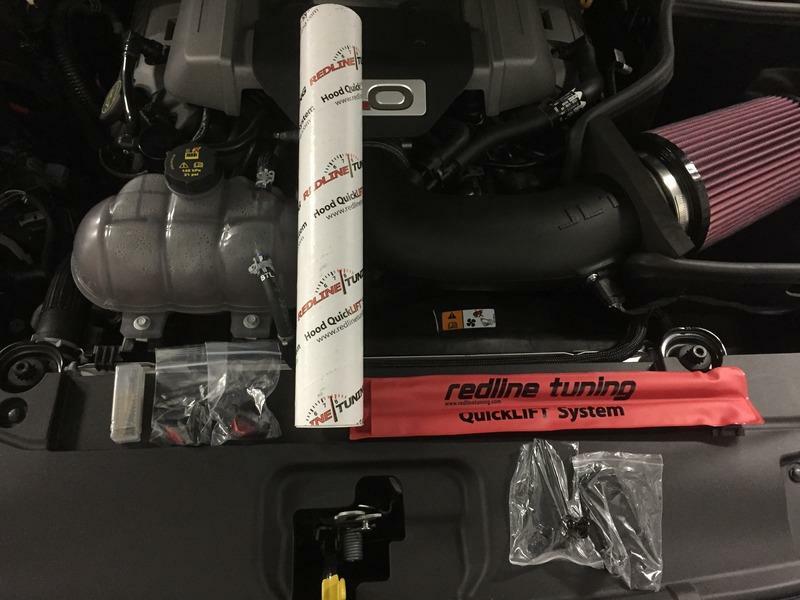 Redline Tuning is the original and best hood strut manufacturer with over 300 different vehicle applications available. The 2015+ Ford Mustang QuickLIFT System is no exception. Progressive gas springs will lift and hold your hood without the need for a poorly placed prop-rod, simply start to lift your hood and let our QuickLIFT system take over. Your hood will lift and hold firmly at the raised position – eliminate your prop rod today. This is a 10 minute installation, at the most. We use all bolt in locations and our system will lift and hold up the hood without the need for the stock prop rod. Patent Pending design, utilizing our insert locking system to attach our fender brackets into the blind hole. This QuickLIFT ELITE system fits the following Ford Mustang model years: 2015, 2016, 2017. 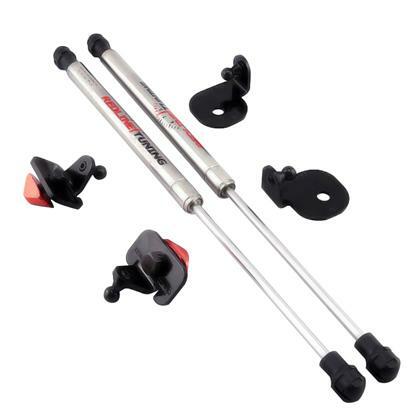 ELITE series includes 316L Stainless Steel gas springs and all black powder-coated hardware. 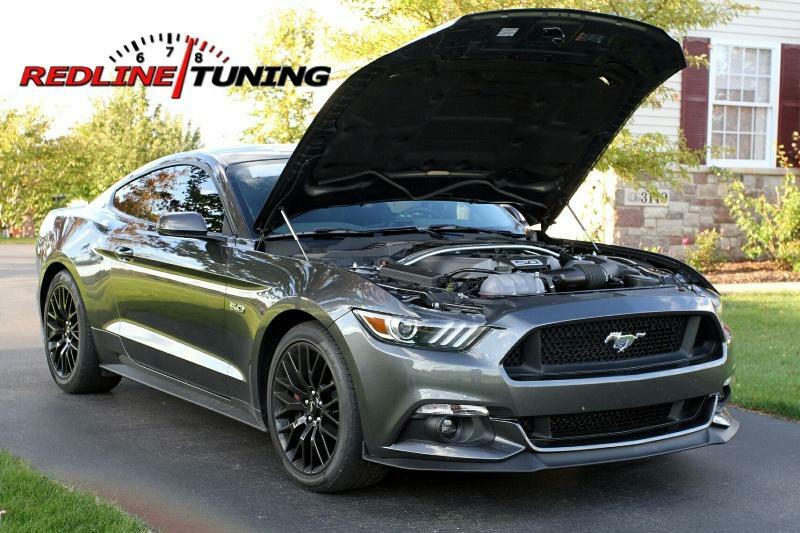 System works with both stock and aftermarket hoods… system will NOT work with GT350 as the hood is lower and interferes. We will be releasing a system for the GT350 early 2016. -Progressive, slow release gas springs – final few inches of operation, gas springs slow down extending rate allowing for a fluid lifting process.